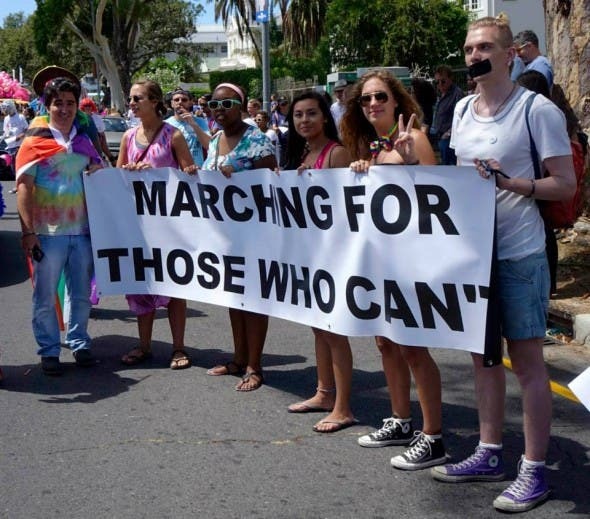 Cape Town celebrated Gay Pride 2014 today, and used the opportunity to march for those around Africa who can’t – with many placards calling on other African countries (particularly Uganda) to drop their homophobic laws and attitudes. 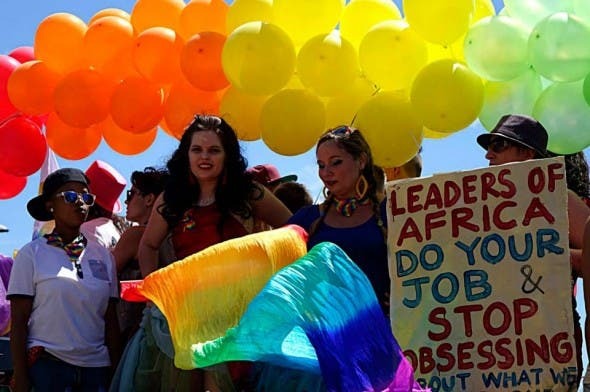 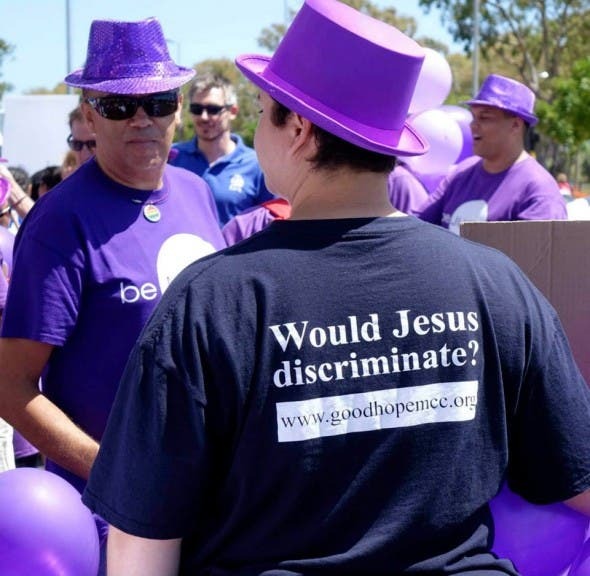 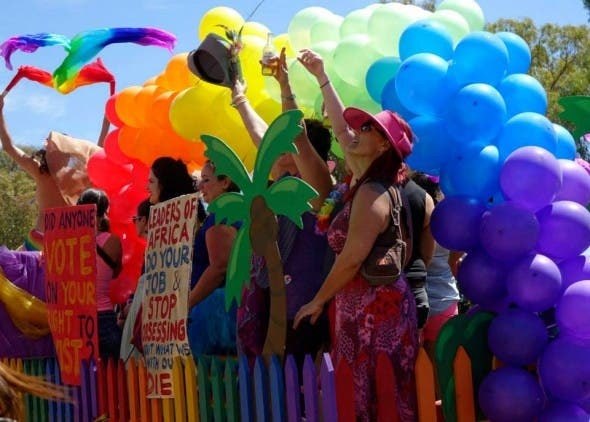 “Cape Town’s diversity came alive at the Gay Pride today,” says Corinne Gans, a Cape Town based photographer who will soon be embarking on a Peace and Unity Tour of South Africa. 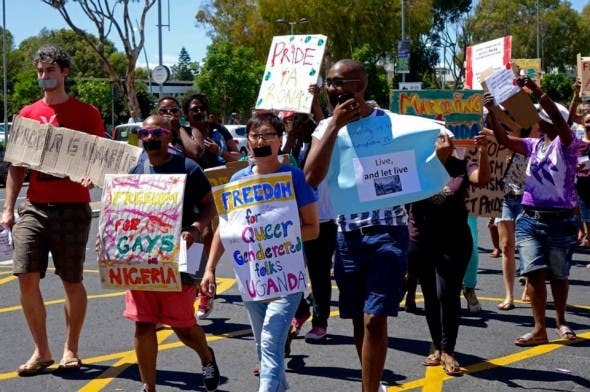 “Among growing homophobia in Africa, South Africans celebrated the freedom of being, loving and existing for who we are,” she said. 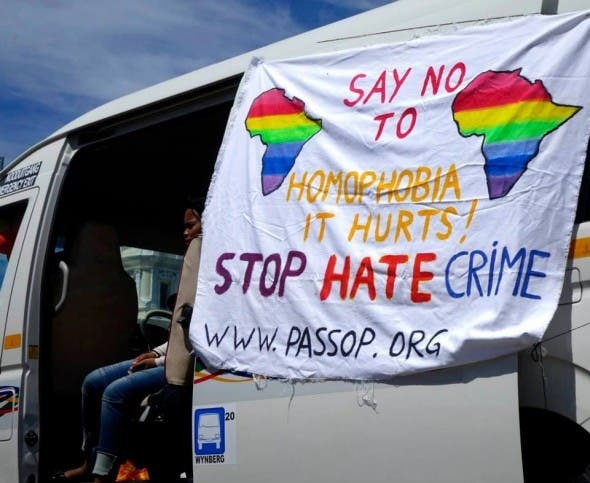 During the months of March and April, the two photographers will be celebrating South Africa’s first 20 years of Democracy on a 7000 km epic train journey across South Africa where they will search for stories of freedom from people around the country. 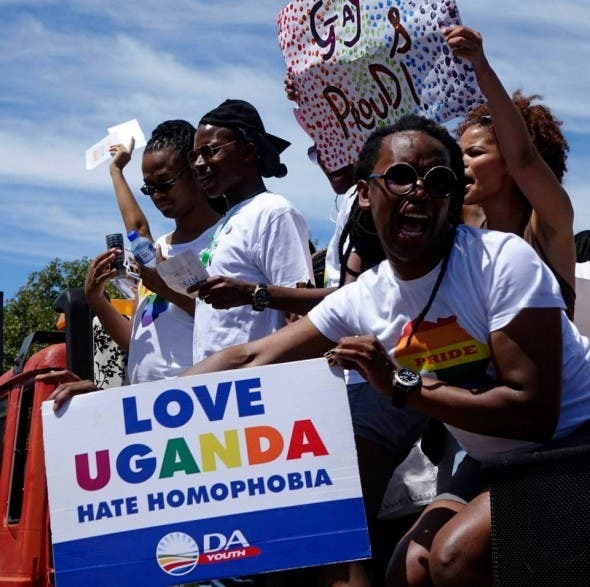 Their travels will be available to follow through social media outlets. 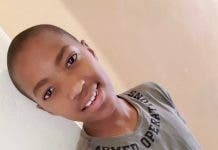 Next articleIs South Africa on Trial with Oscar Pistorius?